Romance blossoms between two rival families practicing Shaolin and Wudang kungfu respectively. despite familial opposition - until they overcome a gang of scheming bandits together. This is Jet Li's first film as a lead actor, and it doesn't disappoint. The martial arts action is great and the scenery around the Shaolin Temple in Luoyang, China is breathtaking. There are a variety of weapons and styles that are showcased in the film, adding to the action. In particular, seeing the 3 sectional staff used in combat was really cool, and there's one guy who does flips off of his head! 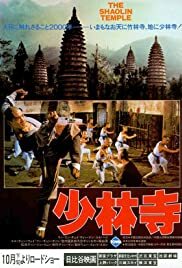 It is a rare one to find but if you can find it, I recommend seeing "ShaoLin Temple".